There is nothing more inviting than fresh bread baking in the oven. Since I started this blog I’ve made rye, wheat, pumpkin cheese, soft white, and now mashed potato bread. Pick my favorite? Impossible. They all are good, have their own unique qualities, and make a mean sandwich. 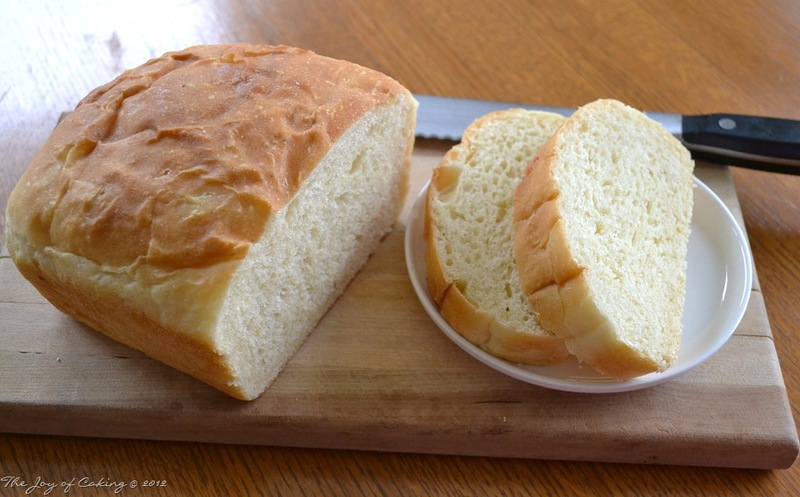 The more I make homemade bread the easier it gets and the less I like buying store bought bread. 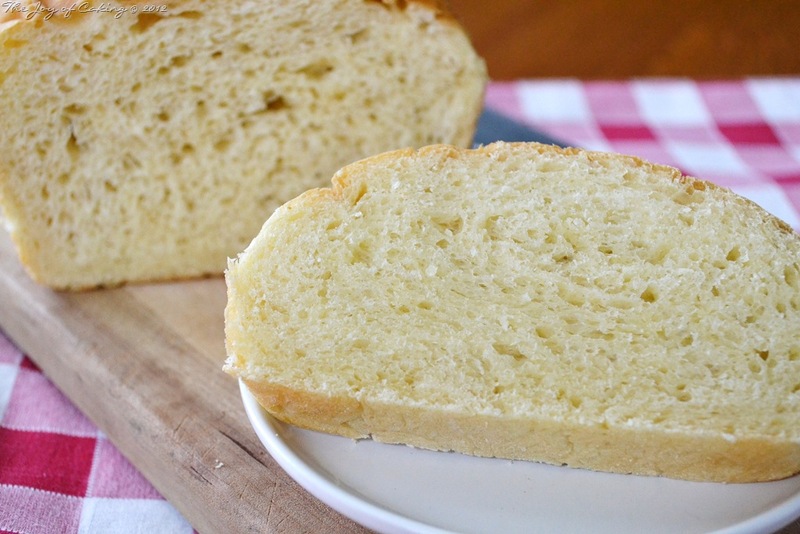 There are no preservatives in homemade bread and it’s very economical to produce. Homemade jam and homemade bread toasted are a match made in heaven. In a large mixing bowl, add sugar, salt, yeast, and 1 cup of flour. In a separate bowl measure out remaining flour. In a medium saucepan, add mashed potatoes, water, heavy cream, milk, and margarine. Heat to about 120 degrees. Add 1 cup of liquid to yeast mixture. Mix on medium speed (with mixer) or thoroughly by hand until well blended. Alternate remaining flour and liquid to yeast mixture, scraping the sides of the bowl often. Beat in egg. When dough starts to pull from the sides of the bowl remove and place on floured surface. Knead dough for approximately 5 – 8 minutes. Form into a ball and place in a large greased bowl. Cover with plastic wrap and let rise until doubled. 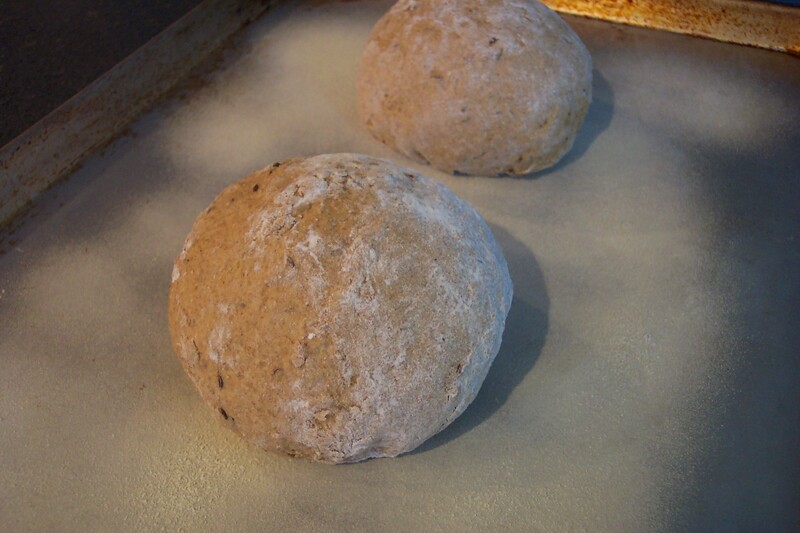 Once dough has doubled, remove from the bowl, punch down and turn on lightly floured surface. Cut and and shape into desired sized loaves. Place dough into greased pans. Let rise until nearly doubled. Bake in 350 degree oven for approximately 20 minutes, or until bread is hollow when tapped and light golden brown. Brush with margarine after removing from oven. Cool slightly in pans before removing. *Tip – I cooked 4 medium potatoes which yielded 1 1/2 cups mashed. In a pinch you can use instant mashed potatoes. You know how you feel when you’ve had too much caffeine? That’s how I felt Saturday afternoon after I got a new cookbook. As I flipped through the pages from one recipe to the next I became more and more inspired. Suddenly, I had my second wind and was ready to bake. It was either that, or mow the lawn. What would you rather do? 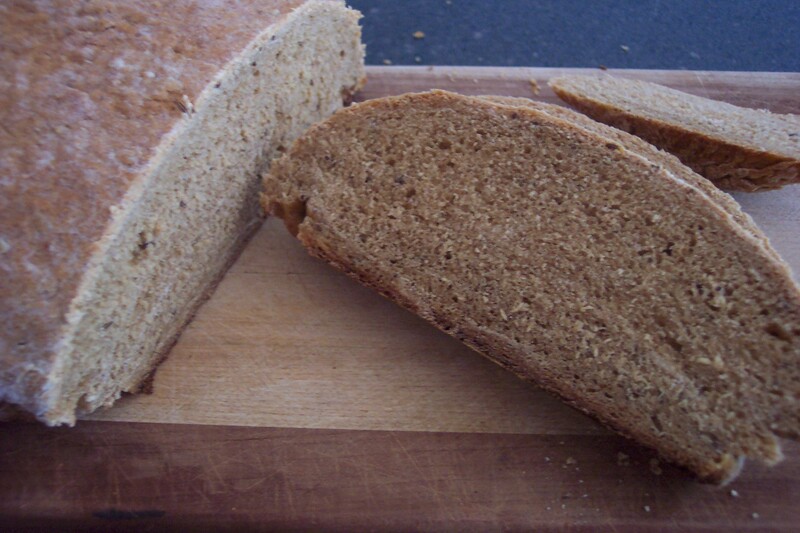 Rye bread is one of the things I’ve been wanting to make for a while now. We bought caraway seeds and rye flour some time ago. However, it seems like I haven’t had the energy, time, or the right recipe to make bread. Typically, if I’m craving homemade bread I get out the old bread machine and let it do the work for me. It hasn’t always been that way. It’s something that I discovered started happening after I received the bread maker as a gift. Saturday was different though. I knew it was all or nothing…. The dough went together quite quickly, the recipe was straight forward. During the bread making process I also found the time to make chocolate chip cookie bars and watermelon ice (see my previous posts) and my time was well spent. The bread turned out wonderful. We’ve eaten nearly a whole loaf, and froze the other for a day when I just don’t have the baking buzz.